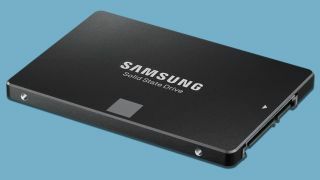 The best prices we've seen all year on these Samsung SSDs. For the past few years, SSDs have been a great pickup on Black Friday and Cyber Monday, regularly dropping to their lowest prices of the year. That's the case right now—Samsung SSDs (our favorite brand) and others are hitting all-time lows on Amazon and other retailers. At the moment, Samsung 850 Evo 1TB SSDs are even cheaper than they were on Friday. Games aren't getting any smaller, and an SSD is one of the best upgrades you can make to a gaming PC, as you will see dramatically decreased load times. If you're planning to grab more storage in the next six months, now's probably the time to pull the trigger. There's one caveat, which is that last year saw prices fluctuate through to the 28th, so there's a small chance we'll see steeper discounts as Cyber Monday rolls on—but these are all great prices for SSDs we recommend. The Samsung 850 Evo 1TB SSD is $270 on Amazon, $90 off its usual price. That's a great deal on a TB of super-fast storage, and even better than the Black Friday price. If you'd rather not buy from Amazon, you can find similar deals on TigerDirect and Newegg. Likewise, the 500GB Samsung 850 Evo is just $140 on Amazon, down from $160. That's enough to store a decent number of games. If you just need something to boot your OS from, or a smaller side-SSD to store videos, consider the 250GB model ($90) on Amazon. Alternatively, there's the 525GB Crucial MX300 SSD for $130 on Amazon, a $20 drop off its normal pricing. The MX300 deals are running out of stock, but Newegg also has them at the same price.